As an oily skin that woman you would imagine that I would prefer a Matt finish, this is definitely the case in the height of summer however I do really enjoy their healthy Sheen that a good highlighter can give you. 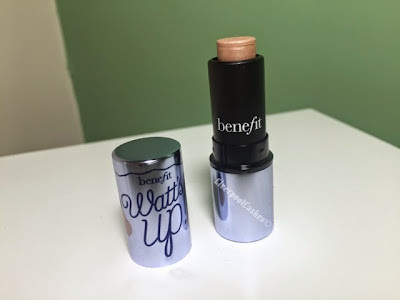 Due to my natural oils I don't typically gravitate towards cream products however as I had a miniature of Benefit Watt's Up and I had heard so much about it I decided to give it a try. The application of this highlighter is so simple to use. I literally tablet along my cheekbones and where ever else I want it to be and pat it until it's blended. 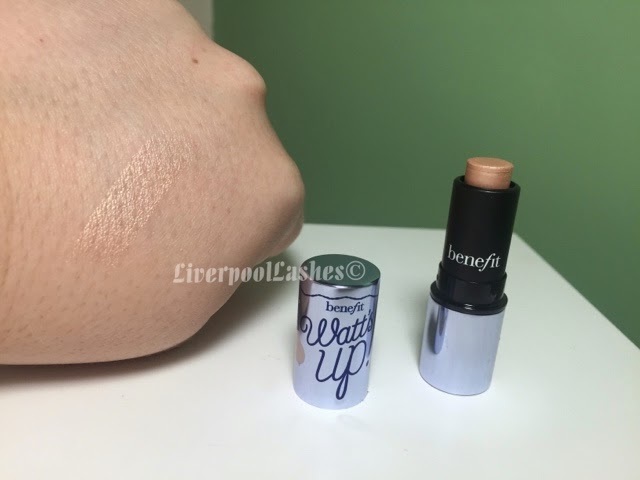 Initially I was a little concerned with the colour of the stick because it looked quite bronzed however the shade that it is is perfect because it is not the typical white highlights that I see by all the brands which I think are to start a contrast to many skintones. To be honest the reason why I like to be applications so much was because it blended so easily and so naturally that it literally just took seconds to put on. I really liked the overall effect that this highlights a stick gives. 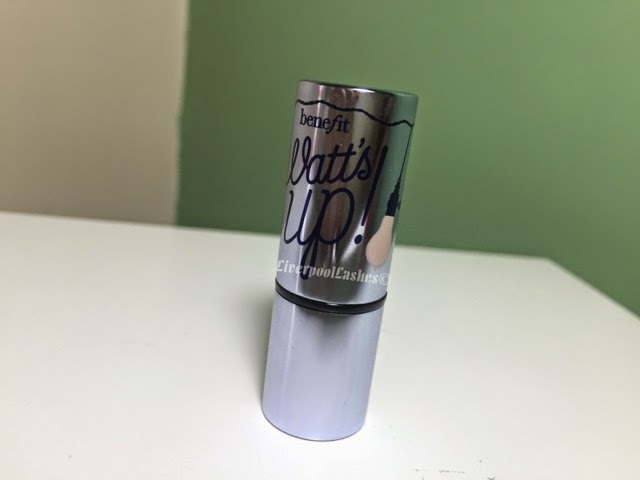 I think it's almost funny that you can have something sat in the drawer for a long time and once you try it you are absolutely fall in love to the point where I would say once this has run out I will be repurchasing immediately and I do highly recommend it.